Get Cadet College Hasan Abdal Jobs 2018 Staff Required Eligibility Criteria. 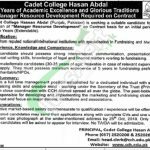 Applications are currently being offered from the Cadet College Hasan Abdal is seeking to hire the eligible, caliber and adroit applicants for to apply for the following posts which are entitled as (Manager Resources Development) is the post which needs to be filled by the applicants. Candidates possessing MBA from reputed national/international institutions with specialization in fundraising and marketing with minimum experience of 5 years in fundraising preferably with charitable/NPOs are eligible to apply. 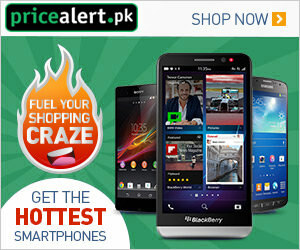 Those having a higher qualification and maximum experience will be preferred most. Applicants will be given handsome salary package along with allowances and other fringe benefits. So, these all are the full details now, I will let you know about its further details below. Cadet Colleges are the Colleges which are Governed by the Pakistan Army and Govt of Pakistan which provide excellent education to the children because of high profiled faculty member and also make the students to learn about the Armed Forces as well. Being a Govt institute it offers Govt jobs of different educational levels. Applications along with complete CV and recent photograph should reach the following address given below. Candidates should mention clearly the position applied for in the subject line of an email or on the envelope. The last date for submission of application is October 25, 2018. Last Date To Apply: October 25, 2018. Address: Cadet College Hasan Abdal.